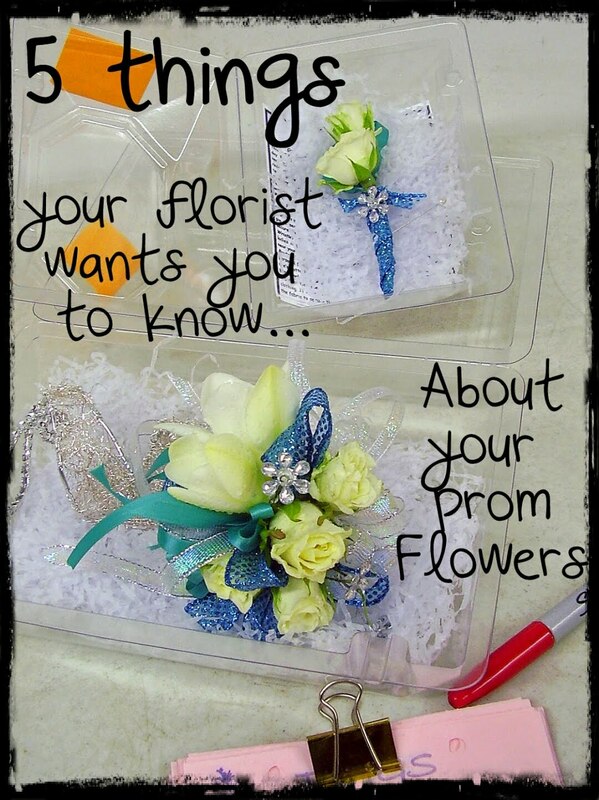 Prom Flowers: Creative Prom Designs from Santa Maria, California! 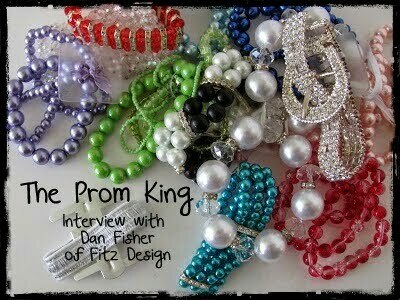 Creative Prom Designs from Santa Maria, California! 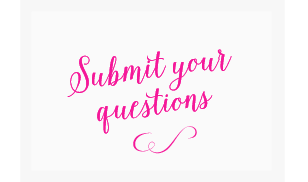 The excitement of spring with prom time just around the corner makes this one of the most wonderful experiences of your high school years. Everyone gets involved: friends, parents, grandparents, school faculty and just about anyone else you might know. The totally awesome dress styles that are available never end, from vintage to super contemporary. This makes the flowers you choose for the corsages and boutonnieres even more important to complete the style dress you decide on. Let’s face it, you don’t want some funky “old school” looking thing sitting on your wrist when you’re wearing a Michael Kors dress that is incredible and fits you like a glove! This is where your florist comes in to design the most stylish floral decor you could wear. 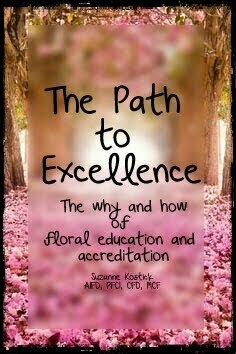 There are many choices and looks that can be created by your floral designer. 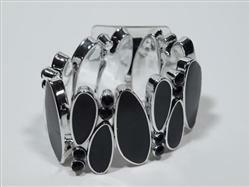 We have such great accessories to work with in today’s design world. There are many types of glistening stones to add that reflect the romantic light your prom night offers: beautiful diamond clear, incredible peacock shades, wonderful yellow tones. All can be added here and there to give the glamor you need. 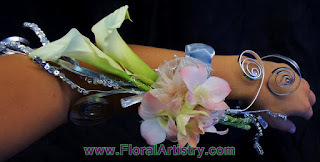 Wrist bands have become such accessories to enhance your corsage! 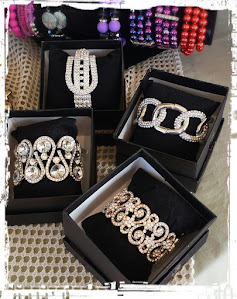 They run the gamut from sparkly to fabric embellished, all to match your beautiful attire. Colored wires, organic touches of seeded eucalyptus, grasses that are swirled and tied with rhinestones, the accessorizing is endless. No need for ribbon anymore; these other accessories give you the sophistication, style and coloring you need. Yes, I did start out with accessories before flowers. I did this so you could get a feel what can truly be created for you with these great additions. The flower and greenery choices go hand in hand with the styling of your personal flowers. 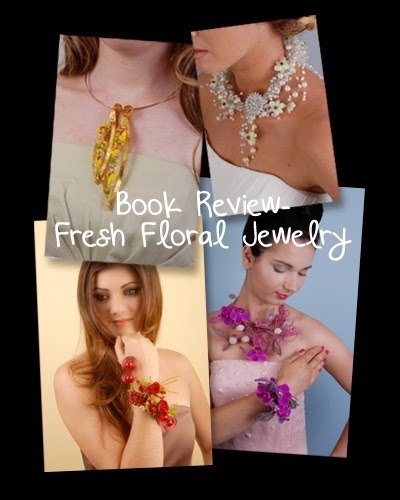 The flowers chosen need to coordinate with your wrist size and dress you’re wearing. From dendrobium orchid blooms to miniature calla lily, many styles and colors can be used. And the same styling needs to transfer to your date’s boutonniere. The idea is to embellish your style, not take it over. Sophistication with a limited amount of flowers is key: two of this, three of that. 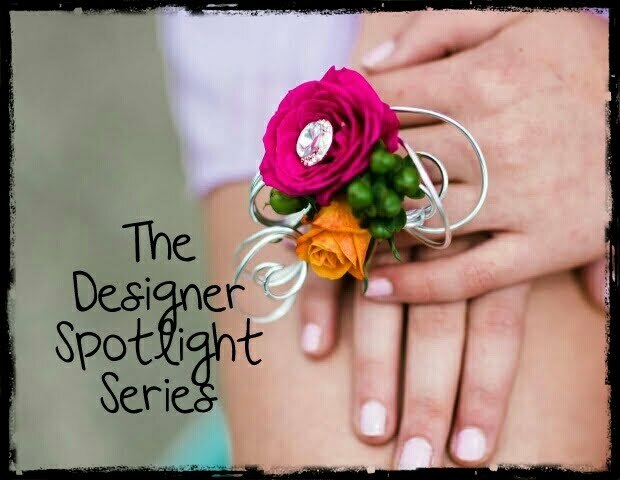 Your corsage and boutonniere uniqueness comes from the creative styling of your floral designer. 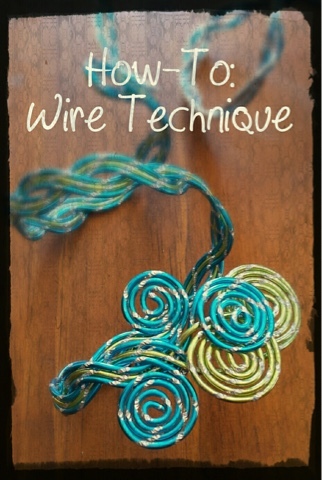 And you need to let them run with it so they can create the most incredibly memorable flowers you have ever worn. and you will definitely be the winner!